Newberry craft — fifth annual Newberry Fall Craft Fest, sponsored by First Baptist Baby Pantry, is planned from 10 a.m. to 3 p.m. The event will be in Reed Hall, which is behind the church, at the corner of East McMillan Avenue and Handy Street. Community Soup Luncheon and Fall Bazaar — will take place at the Richmond Township Firehall from noon to 2 p.m. It is sponsored by Community Lutheran Church. Featured will be crafts, baked goods, and a white elephant sale. A lunch of soup, sandwich and bars will be available with a $3 minimum donation requested. People also are invited to stop by for a cup of coffee. Harvest luncheon — A harvest luncheon of soup, bread and pie will be served from noon to 2 p.m. at Immanuel Lutheran Church, U.S. 41, Negaunee. Donations also will be received for homemade craft and food items to support the ministries both local and worldwide. Climate — the public is invited to join the Marquette Chapter of the Citizens’ Climate Lobby for the group’s monthly meeting in the Dandelion Cottage Room of the Peter White Public Library at 12:30 p.m. Traditional Music Jam — Bring acoustic instruments to play those great traditional folk songs in an informal gathering. 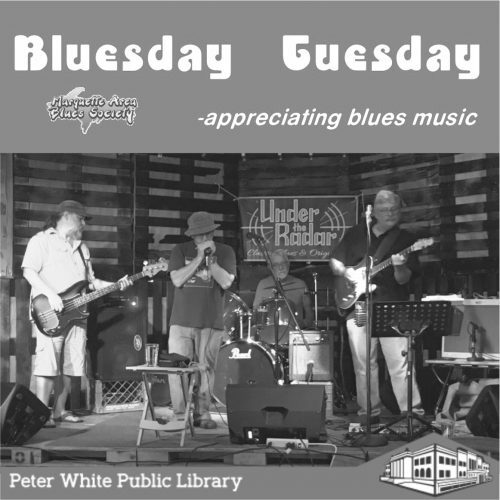 Listeners and singers are welcome.Peter White Public Library Community Room 2-5 p.m.
Turkey dinner — The South County Fund Committee, Women Who Care, a non-profit organization, will have a turkey dinner from 4-7 p.m. at the West Branch Township Hall, 1016 County Road 545. The cost is $10 for adults, $5 for kids ages 6-12, and free for kids under 5. Those attending are asked to bring a donation for Victory’s Food Pantry. Proceeds from the dinner go toward scholarships, grants which support youth development and Victory’s food pantry.